Set of Cables Used to connect IPOD to Audio Equipment. 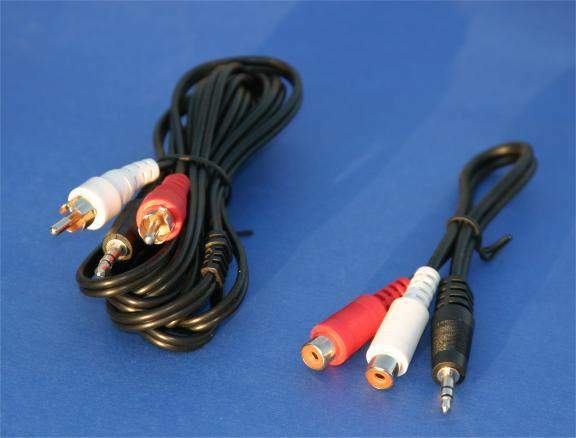 3.5mm Stereo M to Dual RCA F Connector 6 Inch Cable. 3.5mm Stereo M to Dual RCA N Connector 6 Foot Cable. Very Popular set can be used with virtual Every Amp on the Market to connect up your Ipod.